We celebrate festivals in every region and province: to give honor to patron saints, to thank the heavens for a bountiful harvest, and to celebrate legends and folklore. One of the Philippines’ famous and most colorful celebrations is the Pahiyas Festival of Lucban, Quezon. Staged every 15th of May, this year’s festivities fell on a weekend. A huge tourist crowd was expected to attend the Pahiyas. 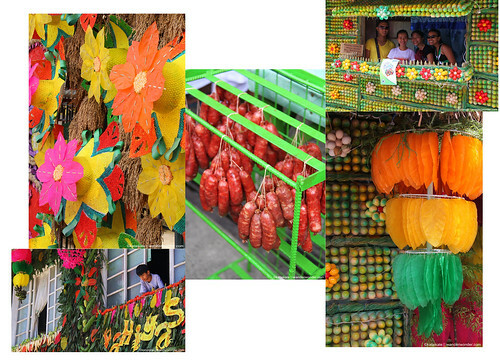 Every year, the local government changes the route to give the houses their chance to decorate with fruits, vegetables, palay and kiping. The kiping is a leaf-shaped wafer made of rice paste and dyed in bright colors. On the eve of May 15, most houses have already been decorated. It is a good time to see the beautifully lighted decors and to stroll along the night markets. 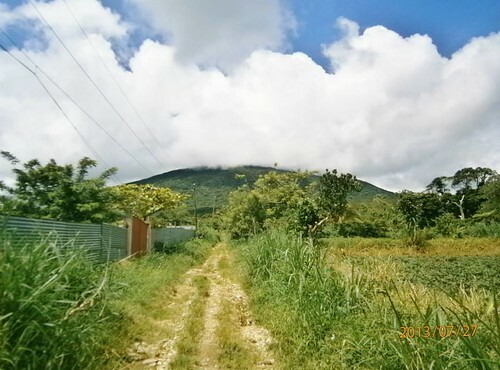 In the morning, the image of their patron, San Isidro, will pass along this route in a procession along with the judges who survey the annual entries onboard SUVs. To get to Lucban, you can either take the route via Lucena or via Sta. Cruz and Luisiana in Laguna. We took the latter route as it is faster and at the same time to avoid the weekend crowd.